For our third Christmas Special we thought we’d try something a little different. This year, rather than talk about Christmas films past and present, we decided to do a DVD commentary – something we’ve been talking about for ages but haven’t got round to doing until now. And what better film to ‘commentarize’ on than Scrooged? We’re both huge fans of Bill Murray, and I make a point of watching Scrooged every year – watching old crater-face in action always brings a smile to my face and Christmas cheer to my heart. Actually, speaking of BM’s acne scars, I noticed they were conspicuously absent on the DVD cover – perhaps Paramount thought they might scare the children? Anyway, I digress. 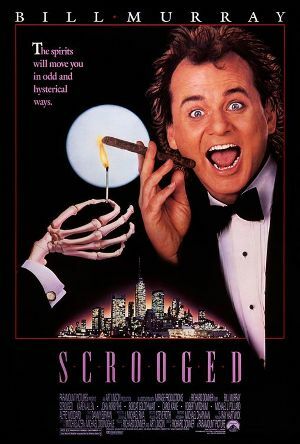 Going back to the podcast, feel free to join in with us by watching the Scrooged DVD along to the podcast (we tell you when to start it), but you don’t need to be watching the film to listen. To be honest we spend most of the podcast talking about random other stuff anyway. Highlights to look out for include us fawning over Karen Allen, a discussion about whether Bobcat is a popular name in the United States and Ian desperately covering for me as I nip off to the toilet. Merry Christmas everyone, see you in 2014! If our review has piqued your interest in the film, you can buy the Scrooged DVD or Blu-ray from Amazon by clicking on the links (and we get a little bit of cash if you do – thanks in advance). 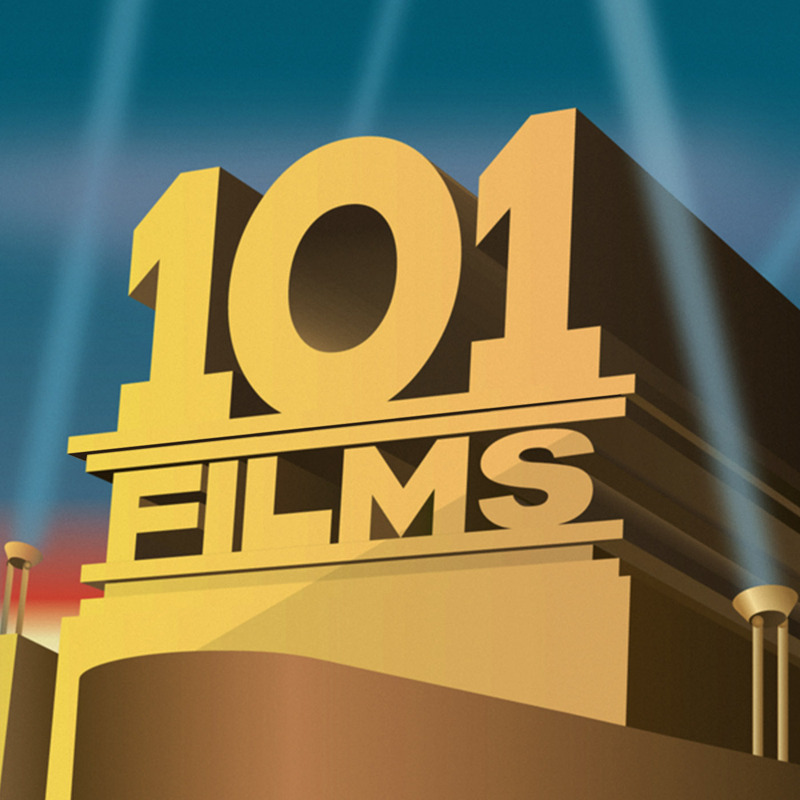 Time for another 101 Films Christmas Special… but we thought we’d try something a little different this year. Behold – our first ever film commentary! If you have the DVD of Scrooged, join in by watching the DVD along with this podcast, but if you don’t… well, just enjoy our drunken ramblings.